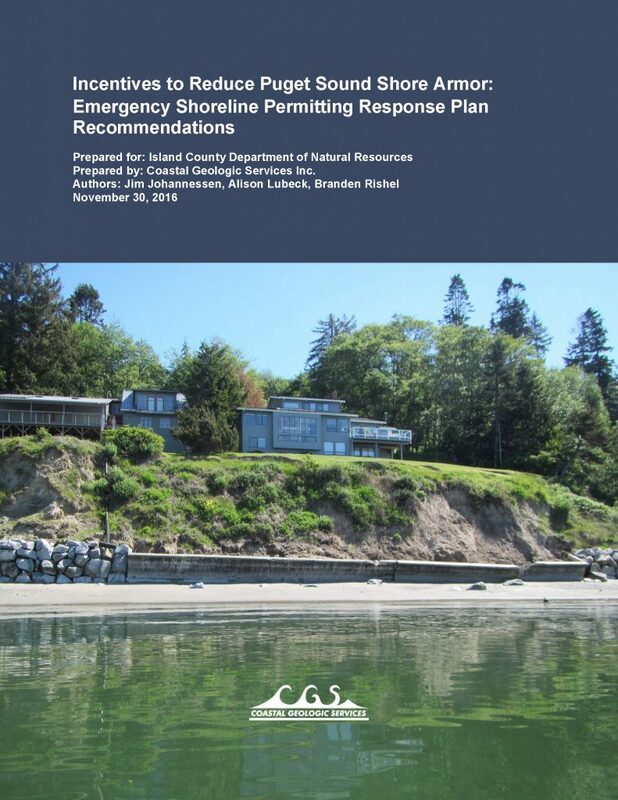 Emergency Shoreline Permitting Response Plan Recommendations – Experts in Puget Sound coastal processes, management, and cost-effective design since 1993. The handling of emergency bulkhead repair/installation requests is included in Shoreline Master Programs in most Washington coastal jurisdictions but is often inconsistently implemented. Coastal Geologic Services completed extensive research on various Puget Sound counties, tribes, and the California Coastal Commission to inform Island County planners on current and best practices as well as provide recommendations for handling emergency permit requests and community outreach. The report was prepared for the Island County Department of Natural Resources.